About Memory Foam Mattress Toppers: Place a Memory Foam Mattress Topper on top of your own mattress and experience the difference that only visco memory foam can make! Our mattress toppers help eliminate pressure points and provide essential support to your head, neck, and back. Restless nights will trouble you no more with a Memory Foam Mattress Topper to cradle you off to sleep! 5 Pound Memory Foam Properties: 5 pound memory foam is the most dense memory foam that we sell. 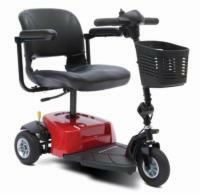 It will give you the firmest feel and is also better for larger individuals. 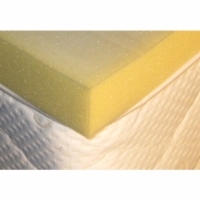 4" Memory Foam Properties: 4" memory foam is the thickest memory foam that we sell. It is perfect for individuals who want a large amount of support and like the feeling of being cradled by their mattress.